Michel Kikoine’s parents settled in Rejitsa, a small town near Vitebsk, shortly after the birth of their son Michel. His mother’s father was a rabbi, and his father Peretz Kikoine worked in a bank. 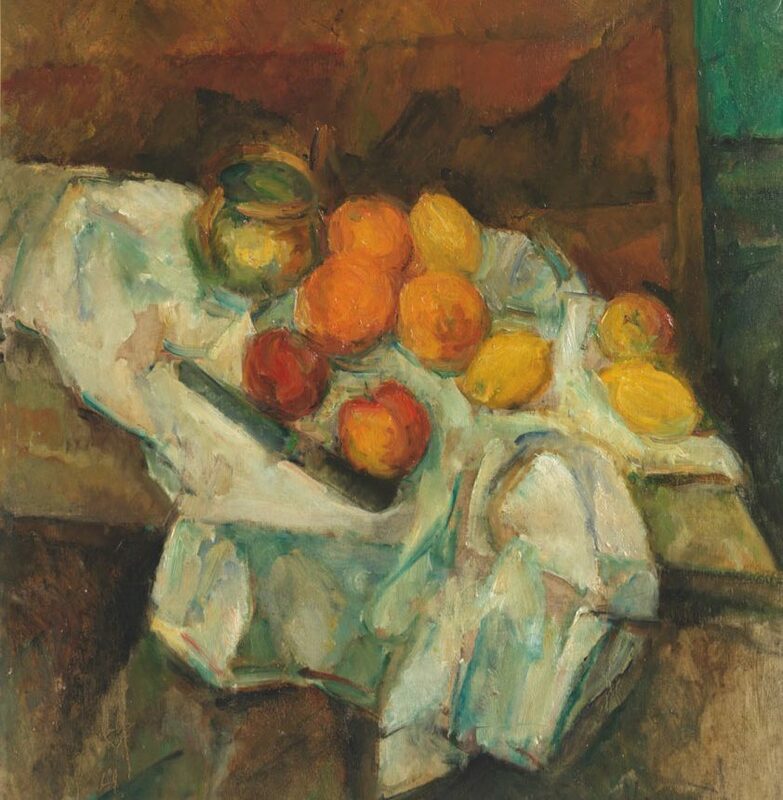 In 1904, the Kikoine family moved to Minsk, where Michel studied business for three years, and met Soutine who was then working as an apprentice tailor. In 1908, Soutine and Kikoine attended Kruger’s Art Academy and later the School of Fine Arts in Vilnius, where they met Krémegne. Kikoine moved to Paris in 1912 and settled at his cousin Joseph’s. He enrolled in the École des Beaux-Arts in Cormon’s studio. In 1914, he married Rosa Bunimovitz, who he had known since they were in high school in Minsk. She later gave birth to their two children, Claire and Jacques. That same year, Kikoine settled at La Ruche, where Chagall and Krémegne were already living. When World War I broke out, he volunteered to join the army. His first solo exhibition took place in 1919 at the Chéron Gallery. Kikoine was noticed by art lovers. 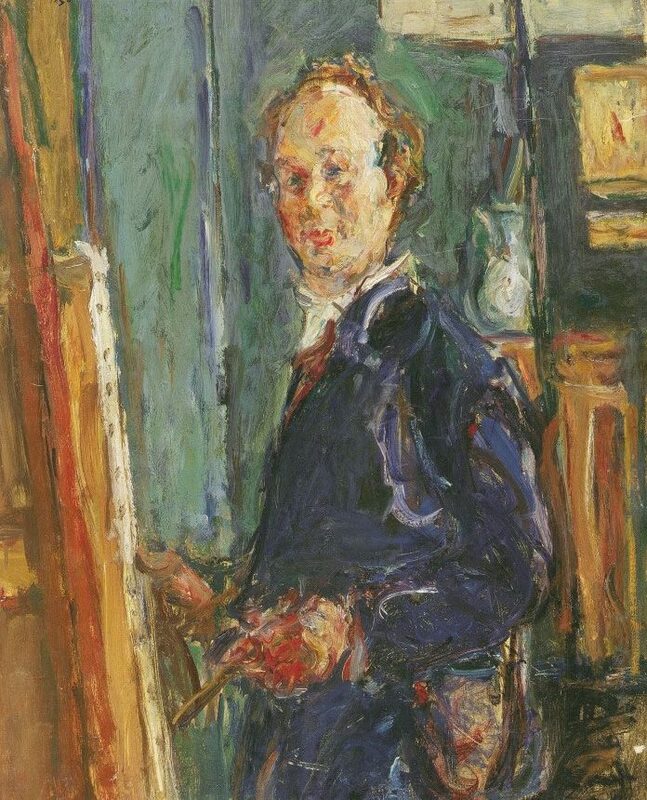 Indeed, the art critic Dr Montlaur published an article on his painting and Mr Descaves, his first collector, bought fifteen paintings and forty drawings. Between 1922 and 1923, he traveled with Soutine to Céret and Cagnes-sur-Mer where, influenced by the light, he painted Expressionist landscapes. In 1926, he bought a house in Annay-sur-Serein in Burgundy. In 1927, he left La Ruche and settled in Montrouge, but returned to Montparnasse in 1933. In 1939, Kikoine was mobilized to serve in the military reserve near Soissons, and painted gouaches of garrison life. In 1941, he and his family found refuge in the Toulouse area. Following the Liberation, he returned to Paris, leaving the city only for a few visits to Israel, notably in 1950, when he participated in several exhibitions. In the last ten years of his life, he stayed frequently on the Mediterranean coast, with his daughter in La Garoupe, where he produced seascapes. In 1964, he was awarded the first prize at the Salon des Peintres témoins de leur temps (Salon of painters witnesses of their time). Kikoine died in his studio in Paris on November 4, 1968.